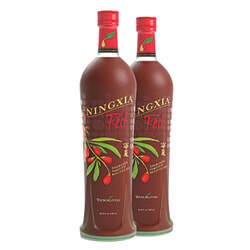 Ningxia Red is a powerful antioxidant drink with health benefits from head to toe, packed full of all natural nutrients for whole body health. 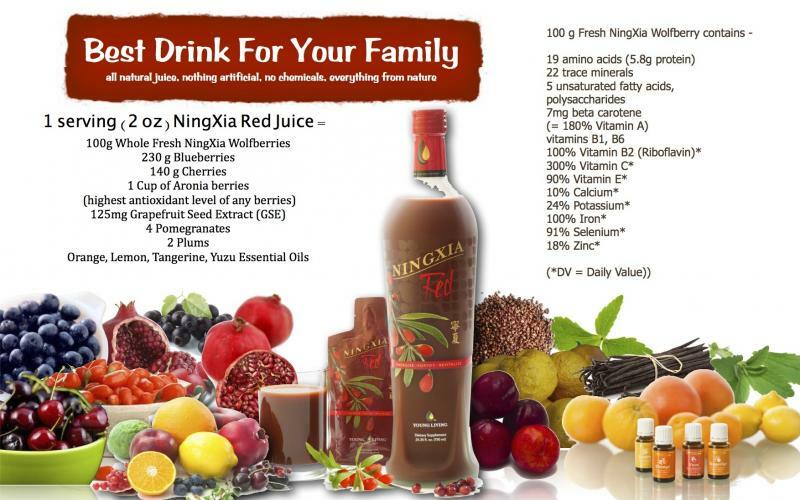 NingXia Red® is a delicious drink that contains whole Ningxia wolfberry puree; a super blend of blueberry,aronia, cherry, pomegranate, and plum juices; natural stevia, grape seed, and pure vanilla extracts; and orange, yuzu, lemon, and tangerine essential oils. 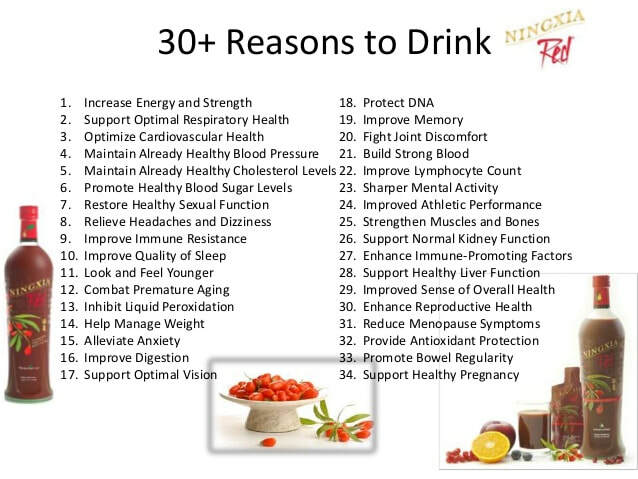 NingXia Red provides a whole-body nutrient infusion. NingXia Red is infused with a juice and extract blend that is rich in antioxidants. 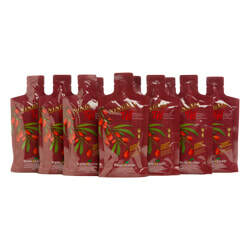 The main ingredient in the blend is a patented grape seed extract. The benefits of grape seed extract include its polyphenolic compounds to help support normal cellular function. 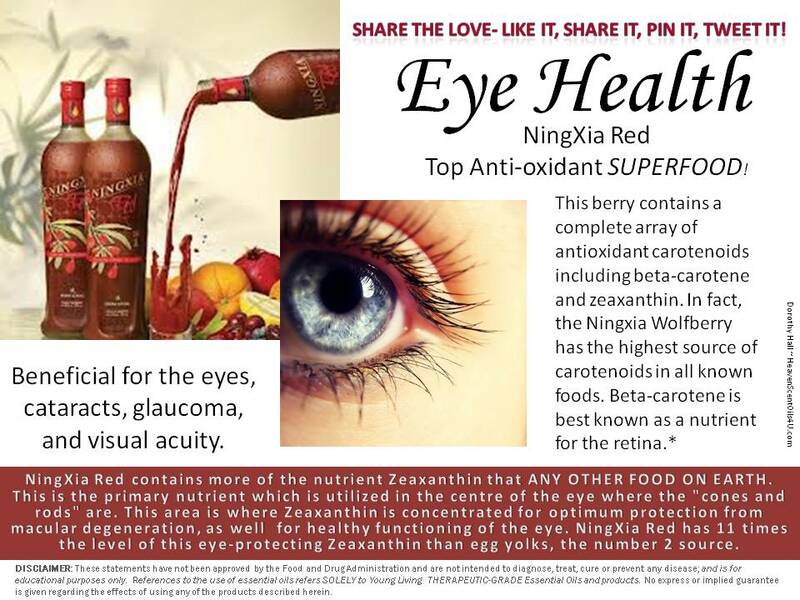 We also included blueberry, plum,aronia, cherry, and pomegranate juices to add to NingXia Red’s bright flavor and color. includes a carefully selected blend of pure, therapeutic-grade essential oils. Orange and Lemon essential oils were included for their ability to help maintain normal cellular function. * The benefits of orange oil and benefits of lemon oil also include their naturally occurring constituent d-limonene. Tangerine and Yuzu essential oils benefit the NingXia Red formula with their bright and fresh citrus flavor. This pure and potent essential oil blend synergistically and deliciously works to support the body’s natural defenses, overall wellness, and much more. 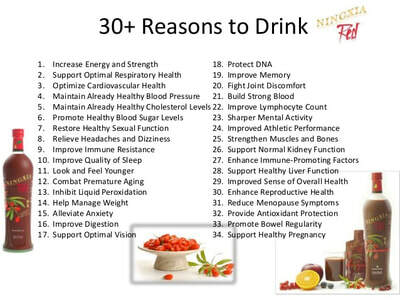 * No other nutrient-infused beverage can offer the careful formulation of essential oils found in NingXia Red! Juice Plus is whole food based nutrition, including juice powder concentrates from 30 different fruits, vegetables and grains. Juice Plus+ helps bridge the gap between what you should eat and what you do eat every day. Not a multivitamin, medicine, treatment or cure for any disease, Juice Plus+ is made from quality ingredients carefully monitored from farm to capsule to provide natural nutrients your body needs to be at its best. 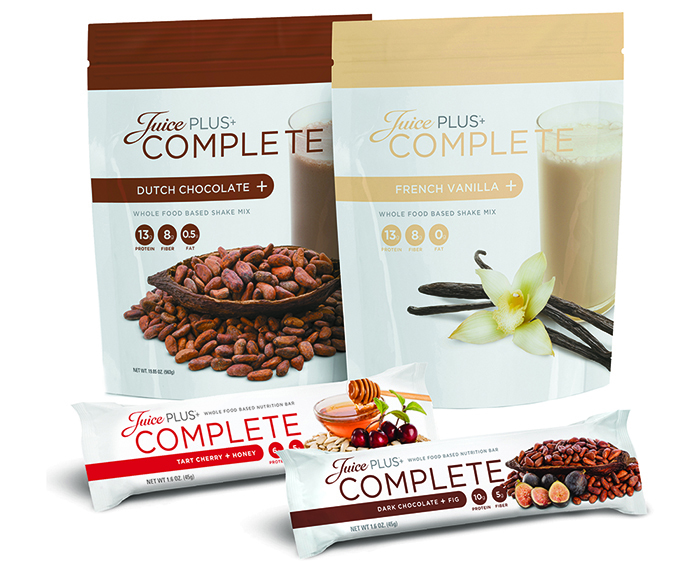 Complete Shake Mix is a nutritional drink mix. Try it for a natural protein boost around workouts or to fuel up after a long day or first thing in the morning for breakfast. ​Complete Nutrition Bars deliver a perfect snack for any diet. Try a tasty bar to help you replace empty calories with healthy ones. 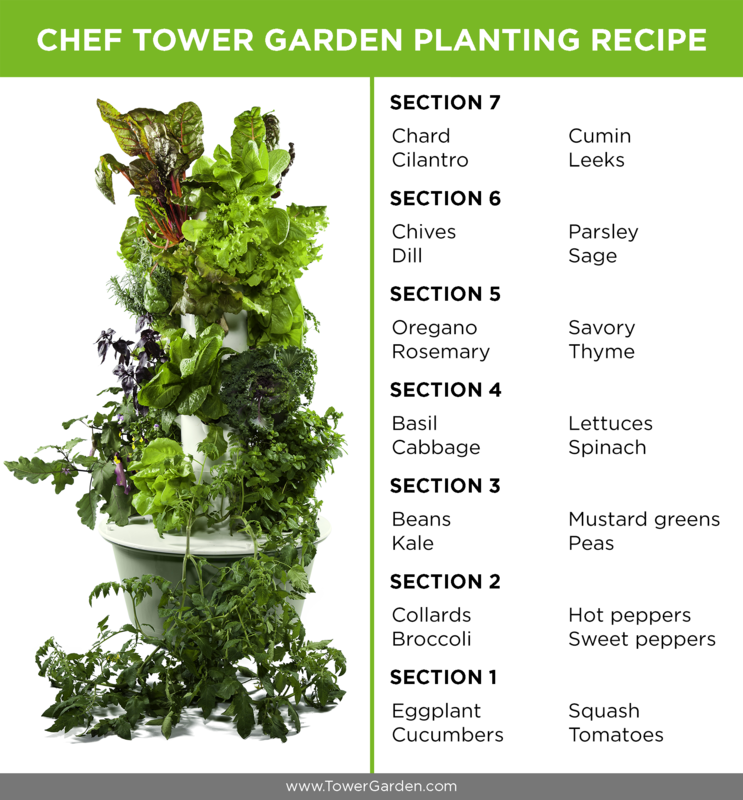 Take nature's nutrients from 30 fruits, vegetables and grains and pack them into a capsule - then you've got whole-food-based nutrition and wellness. 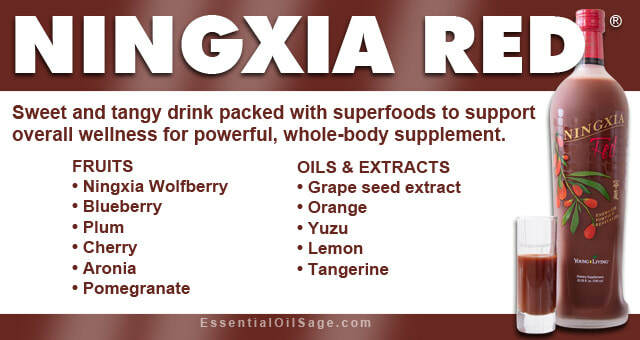 Great for people who are diagnosed with Cancer or Diabetes.